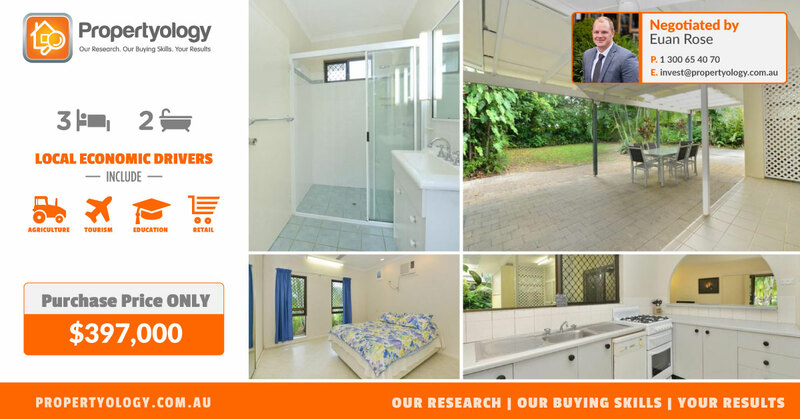 This is the first property that PROPERTYOLOGY has been appointed to purchase for our client Mike, a self-employed quantity surveyor from Sydney. Mike contact PROPERTYOLOGY a few months ago looking for assistance to purchase an investment property after discussing the advantages of using a Buyer’s Agent with his own clients. Whilst Mike is a first time investor, given his occupation, he understands that no one can be a ‘jack of all trades’. He contacted our Buyers Agents seeking their guidance after acknowledging that even he with an above average understanding of property markets, does not have the time or the professional expertise to study, monitor and select strategic locations Australia wide for investment potential. This particular property is in a very exciting regional location, one which we at PROPERTYOLOGY feel has significant potential to perform better than the national average over the next 10 to 15 years. ‘We would never invest in regional locations’ or ‘regional locations aren’t as safe as blue-chip capital city locations’ are comments which we often hear from clients during our initial discussions. What needs to be remembered is that the term ‘regional location’ doesn’t necessarily refer to a small 5,000 population mining town in Western NSW or QLD. Furthermore we certainly are not suggesting that every regional location is a good investment decision. There are 550 local government authorities (LGA’s) in Australia. 139 of these are within Australia’s 8 capital cities and only 20% of them featured in Australia’s Top 100 property market performers for the last 15 years. Sydney, Melbourne and Canberra contain 75 of the 139 capital city LGA’s. NONE of these featured in Australia’s Top 100 property market performers for the last 15 years. Having an open mind to this has allowed Mike to make what we consider a very astute investment decision. He has kicked off his investment journey with a well presented, structurally sound, low maintenance property, based in a location with a population in excess of 100,000 which has been strategically selected for its long term capital growth outlook. This location has an extremely diverse economy being driven by agriculture, education, construction, tourism, mining and health just to name a few.